Last time, I shared some useful tools for handling date and time data. But Minitab has many other useful tools for manipulating date/time data that you might not be aware of. Let’s take a look at a few more helpful tips and tricks. 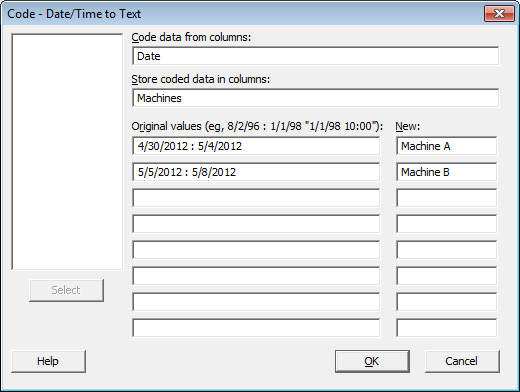 If you look under the Data menu, you’ll notice Extract from Date/Time > To Numeric or To Text. This function allows you to take one or multiple components that make up your date/time values and transform it into a new data format. You can get more information about these functions in Minitab Help. Let’s say you are trying to subset the worksheet below by a specific date. You only want information dated after 5/4/2012. The Date calculator function is typically used to extract the date portion of a value in your worksheet. 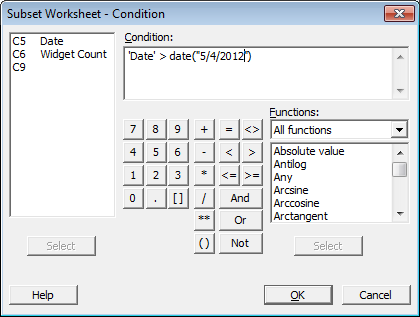 For example, if you specify date("5/11/08 12:55:35 PM") under the expression of the Calculator, Minitab will output 5/11/08. However, this functionality is also required when trying to subset by a date value. In the expression above, by adding the date function we have informed Minitab that 5/4/2012 is a date value. 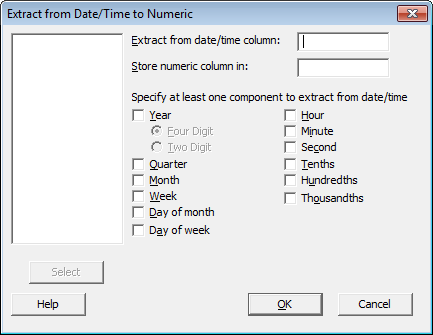 Without it, Minitab doesn’t know whether 5/4/2012 is a text, numeric, or date/time value. You’ll also notice that double quotes were used around the value. The last tool I want to mention is Code, which can be found in the Data menu. This is a good tool to use when you need to create labels or values based on date ranges. Let’s say that the range of 4/30/2012 to 5/4/2012 represents information from Machine A, and 5/5/2012 to 5/8/2012 represents Machine B. We can create a column that lists the two machines by using Code. After pressing OK, you should get a new column in your worksheet that lists Machine A or Machine B for each date! I hope this information helps you to get more value out of your date and time data in Minitab!